Luminosity Matte Edition QED from Angelwax is our Quick Detailing Spray designed specifically for matte paintwork and matte wrapped vehicles. Matte vehicle finishes require specialist detailing chemicals that are free from waxes, silicones and with the ability to clean and protect the bodywork without damaging the matte surface. This unique Quick Detailing Spray is gentle on matte surfaces and yet leaves them dull and lustreless whilst having excellent cleaning properties to ensure a matte, gloss-free finish. 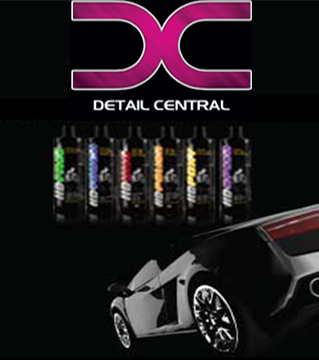 Angelwax Luminosity Matte Edition QED is pH neutral and completely wax safe! After thoroughly washing the vehicle, towel dry and spray Angelwax Luminosity Matte Edition QED to the surface of the vehicle and buff with a microfibre cloth ensuring a dull finish. For the ultimate result, wash with Angelwax Luminosity Matte Shampoo and finish with Angelwax Luminosity Matte Wax and then top-up the protection every week with Angelwax Luminosity Matte Edition QED detailing spray.